The internet is happy today because a few high profile and long incarcerated political prisoners languishing in the sprawling Bush-Obama gulag. No doubt many if not all of them were unjustly tried, convicted and given draconian sentences. Of the many pardons and sentence commutations Obama has recently passed out, the commutation of Chelsea Manning's insane 35 year sentence has gotten the outgoing president the biggest gold star from Centrist Democrats and the soft-left. Manning is slated to be released on May 17th, if only Pence does not somehow intervene or Trump does not find a way to tweet her back to solitary. The mainstream media is happy to make an advertising nickle click-baiting the vapid negativity of various Congressmen who have exactly zero power to alter this event. Some social media pundits have noted that Manning will be freed on the same day as Puerto Rican Independence fighter Oscar Lopez Rivera. Those that noticed Rivera bring up Leonard Peltier. Those who noticed Manning bring up Edward Snowden or Julian Assange. None have brought up the list of those prisoners of the 2011-present infowar that are still doing hard time or are facing hard time. That list should start off with my friend Jeremy Hammond. Hammond is doing a ten year stint in federal prison for hacking the private security contractor Stratfor. His hack revealed an attempt to launch a hacking and smear campaign against journalist Glenn Greenwald. It also revealed that Stratfor had a copy of Stuxnet, something a Marine Corp General Cartwright was pardoned by Obama for leaking to the press about. Stratfor also claimed in their emails to have a copy of the “sealed indictment against Assange” a document that the Justice Department denies the very existence of to this day. After he gets out we will face years of probation and a non-association clause in his sentencing preventing him from talking to the press or other activists. The Obama adminstration did not want his obediance, they want his silence. Although Manning caught a longer sentence for essentially the same actions as Hammond, the latter has spent more time in solitary than the former. The next person down that list would be journalist Barrett Brown. Brown downloaded Hammond's data dump and began a crowd sourced journalistic investigation of all the implications of it. He was arrested and sentenced to 63 months in prison. He is now in a halfway house for the remainder of his time. This author was a late joining member of his crowd sourced investigation, called Project PM, having been invited after the arrest of both Brown and Hammond in 2013. Despite his grandstanding from the Ecudorian Embassy in London, Julian Assange has not spent much time mentioning the case of Wikileaks Courier Matt DeHart, currently serving 7 years. He will be released in September of 2019. 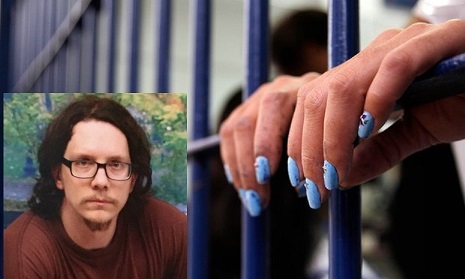 Lauri Love is was arrested in the UK for hacking in 2013 and held without trial for two years. He was released when the government could not decrypt his hard drive. He was then re-arrested and has spent the last 2 years fighting extradition to the United States for computer crimes against the US Army, NASA, the Federal Reserve and the Environmental Protection Agency. He faces a total of 99 years in prison for seeking the truth about government wrongdoing. Like Manning, his sensitive nature and his potential long prison sentence make him a grave suicide risk. I am glad to the potential end of Chelsea Manning's imprisonment, which otherwise would have lasted until I was eligible for social security benefits. The length of Manning's sentence and being a transgendered prisoner in an all male maximum security prison did indeed combine to put her life at grave risk. She went to prison in part for exposing the United States killing two Reuters Journalists in from a helicopter gunship while laughing. Although I was not in Iraq those journalists could have been me as far as I'm concerned. Chelsea Manning nearly died in prison for me. The crimes that Dehart, Love, Hammond and Brown all worked to expose are also threats to me. I never knew Hammond had any great skill with a computer skills before he was in jail. He kept his head down and did his work without even telling his friends. Brown, Love and DeHart all also made grave sacrifices in silence to make the world aware of the increasingly totalitarian nature of the National Security State. Today is a good day for Chelsea and all of us. But the score is still one political prisoner of the info war down and four to go.